What is the difference between a personal brand and being an influencer? Tanvi Gautam, CEO and Founder, Leadership Inc shares it all. “Social media has been so central to everything that I have done in my career” said Tanvi Gautam, CEO and Founder, Leadership Inc. Taking us through her journey, Gautam shares tips on Building a powerful & authentic personal brand. Gautam spends a lot of time working in the area of leadership development and co-ordinating with CEOs and off late CMOs for work in corporate storytelling. The whole concept of narrative and storytelling is becoming very key, according to her. “Fortunate and blessed to have been tagged as an influencer in my field. 5-6 years ago you might not have even found that I existed because social media was not so prominent. But now social media is the very key to your career and learning. I think everybody who is not paying attention to social media is living in the 1800s”, noted Gautam. We typically tend to think about the identity and reputation of a person. Simplest and the best definition of a personal brand that to be found is what people say about you when you are not in the room, by Jeff Bezos, CEO, Amazon. It’s not what I am writing about myself on the Twitter or Linkedin bios; my personal brand is lot more than my profile or description. When you interact, what’s the impression you are going to be left with, what will you say about after the interaction – that is your personal brand. Need of creating a platform agnostic brand? Gautam thinks that’s a wrong question to ask. The issue is not whether you should develop a different personal brand for a particular platform. Personal brand is the authentic expression of who you are and you are not going to change according to Facebook or Instagram where you have a presence. Platforms like Twitter and Linkedin will start adopting the features across the board. It really becomes a question of where is your target audience and who do you want to reach out to. Looking for an audience that is very design focussed, then you want to go to Instagram and not LinkedIn. So first ask yourself what is my brand and secondly where is my audience. The content even though maybe similar, the stand that you have to give it to it should be different because the audiences on different platforms are used to content being presented to them differently. There is no issue with duplication because people more or less tend to gravitate towards a particular platform which they have a preference for. But certainly even if you are duplicating your content, it’s the way that you present your content, that needs to be different. The reason somebody has an influence on you is because they were able to invest in you and they made a difference to your life. If you really want to have an influence on anybody, be that a person or a community, you have to focus on how can you make a difference for the other person. A lot of people get it wrong and got onto thinking ‘how do I grow my follower base’, ‘how many people have I got following me’. You need to think of the thousands of people that are following you and how many are actually getting positively influenced by you, how many of them can you make a difference for. If the people find that the content that you post is making an impact on them that’s when you have real influence. Having influence is different from the amplification of influence and a community really helps you amplify the influence. A community is absolutely essential. If there’s not a community around me that is helping me amplify that influence, the community that is learning from me and helping me learn, then what is the point of social media is because its social first and media next. The focus should always be on the social aspect. You can have a personal brand and not be an influencer. But to be an influencer you have to have a personal brand. So, you start with the concept of personal brand first, you then bake in the community. A community helps you become an influencer. It is a three step process. Ultimately the important fact is what are you giving back to the community. The right influencer is when you have both, complementary and supplementary fit! When I am an influencer I have greater responsibility towards my followers, brands who work with me, and the ecosystem. Authenticity. Also brands should be wary of anyone who is just willing to come on board just because you have offered them some money. Influencers should truly believe in what you believe in. Putting out context makes you an apt influencer. As an influencer, you should keep in mind that do not repost or retweet without knowing what the content is and yes as an influencer the more context you provide – you are acting as a filter and the eyes, ears of the person that you are trying to influence. 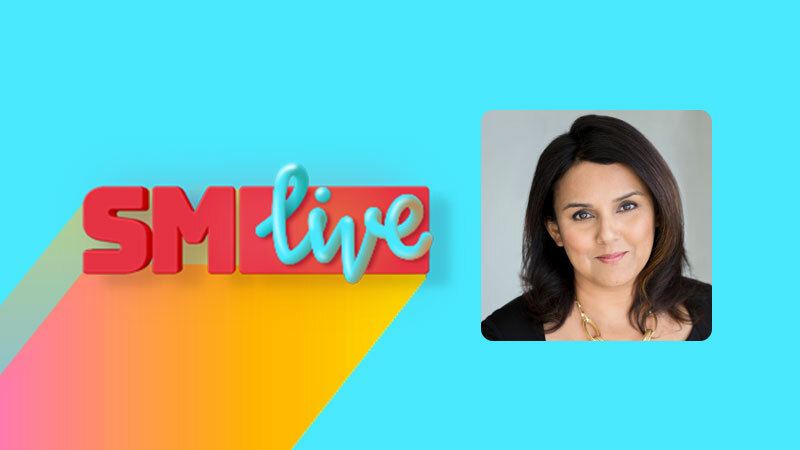 Tanvi Gautam shared her opinions in the Keynote session at the second edition of India’s first Facebook Live conference by Social Samosa – #SMLive2018.